CONTACT US – FREE ESTIMATES. AUTOMATIC TRANSMISSION REPAIR & REBUILD. MANUAL TRANSMISSION REPAIR & REBUILD. CLUTCH REPAIR, REPLACEMENT AND INSTALLATION. TRANSFER CASE REBUILD AND REPAIR. Email us with your questions or give us a call. Expert replacement, repair and installation services on all makes and models. We are also a proud Denver/Boulder BBB member. *Different warranties and repair types to fit your need. *A free inspection including a road test, preliminary testing and electronic scan. *Written repair estimates are provided, so you can decide what to do. *No work will be done unless you agree and fully understand the process. *Extreme Transparency, no hidden anything. *All work is done on site at our repair centers. *We don’t just advertise that we are a experts. 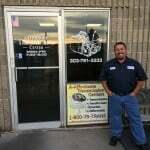 Contact us, this is a real transmission shop and has been since 1979. *WE REPAIR AND REBUILD FOR MUCH LESS THAN OUR COMPETITION. 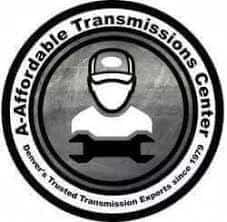 A-Affordable Transmissions Center is one of the most highly respected transmission repair and transmission servicing centers in all of Denver, Colorado. We take the time to walk every customer through the repairs process. The initial inspection won’t cost you a cent. We are a real transmission shop, so you can expect educated answers to your questions and needs. You’ll get a complete checklist of everything that needs to be repaired as well as what it will cost before any work begins. Don’t leave the health and safety of your car up to chance. 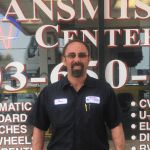 Contact A-Affordable Transmissions Center today for complete transmission repair. “Once I stepped in the shop, it was nothing but professionalism and the level of customer service that really was unparalleled. Dave worked with me through each step and kept me updated on their progress. The repairs were completed on time and on schedule. These guys are great. Randy and his team are top notch and I highly recommend them. My Dad was a chevy TH-350 transmission mechanic for years and these guys made sure they explained everything to me and I was confident they were doing the job right. Even after the job was done they followed up, corrected a minor issue (no charge) and even took care of an exhaust pipe that was making noise. Copyright 2019 | All Rights Reserved | Website by: Affordable Transmission Inc.